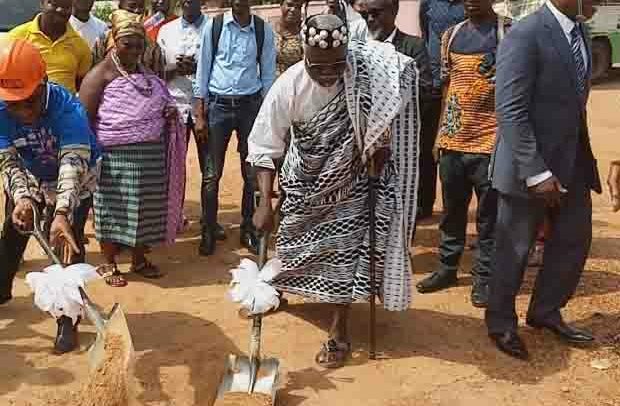 Management of Keerapa Active has cut sod for the construction of a multipurpose sports complex to be situated at Sokagope in the South Tongu district of the Volta Region. The maiden project of Keerapa Active is estimated to cost about $100,000 and is to be completed within three months after the ceremonial sod cutting held last Thursday. Co-founder of Keerapa Active, David Amekpor, said they are in to create an avenue for talented footballers and the youth in other sporting disciplines. He, however, explained that their major concern is the development of the five-a-side football tournament which would be developed from the district level to the national level. He added that their mission is to build, operate, and maintain an affordable sports and recreation facility that connects a diverse range of people through various developmental fun packed activities that promotes growth and cultivates a strong sense of community, health and sportsmanship. Member of Parliament for South Tongu Constituency, Kobla Mensah Woyome, commended Keerapa Active for the initiative and assured them of his full support to make their vision a reality. Keerapa Active is a new sports and recreation startup that is working to put quality but affordable facilities, within the reach of Ghana’s athletes and amateur football players. They intend to offer the highest quality Astroturf playing field in Ghana, utilizing top specification FIFA grade synthetic turf technology. In addition to the superior playing surface, the facilities will focus on the development of footballers through running leagues, tournaments, and soccer schools.